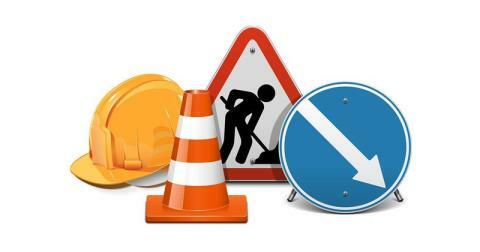 From 15 May, services 88 and 88A will be diverted due to works in the Leam Lane area. Westbound side of Newcastle Road closed, no access to Scotch Estates after 8pm. Unable to serve Scotch Estates, nearest stops are Newcastle Road (eastbound) or Dame Flora Robson Avenue. Buses are unable to serve Scotch Estates after 8pm, customers should use Dame Flora Avenue in both directions. After 8pm Robin Hood and Lawson Avenue stops towards Jarrow will be unserved, customers should use stops at Primrose. After 8pm, Robin Hood and Lawson Avenue stops towards Jarrow will be unserved, customers should use stops at Primrose. After 8pm, there will be a normal service to Jarrow, but towards South Shields, we will be unable to serve bus stops at Robin Hood and Lawson Avenue. After 8pm, services will be unable to serve South Leam or Scotch Estate bus stops towards South Shields, please use stop on Dame Flora Robson Avenue. After 8pm, unable to serve South Leam or Scotch Estates in either direction, please use stops on Valley View or Dame Flora Robson Avenue. Updates on further phases will follow soon.